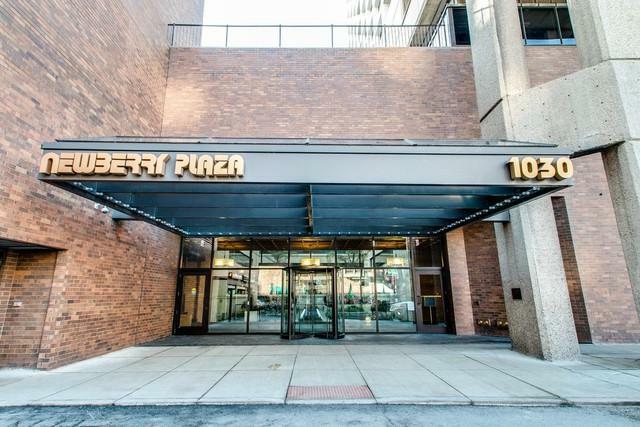 Beautifully renovated 1BD at the popular Newberry Plaza! A+ location in the heart of the Gold Coast with Oak Street beach, dining, shopping and night life nearby. 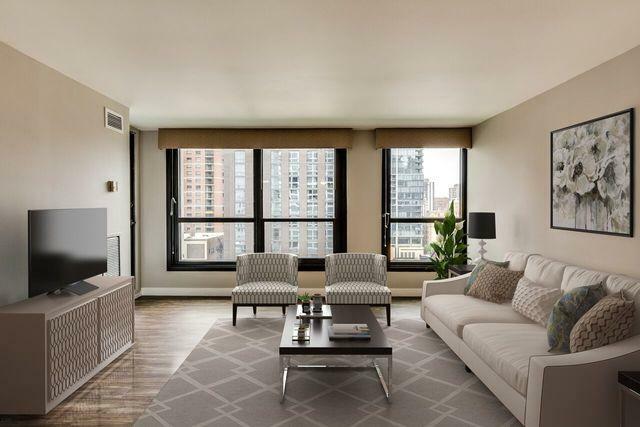 The unit features open floorplan with wide-plank floors, white shaker-style kitchen cabinets with subway tile backsplash, granite countertops and stainless steel appliances, a balcony and generous room sizes. The bathroom has textured 12 x 24 porcelain tile, a vanity with a granite countertop, custom mirror and lighting. Leased parking on-site. 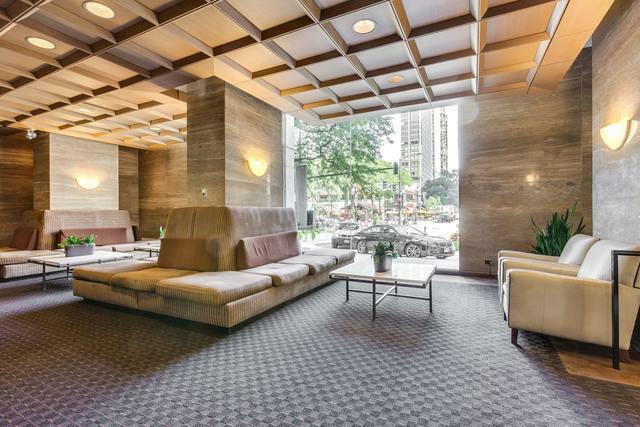 Amenities include 24-hour door staff, outdoor pool, additional storage, fitness room & much more. 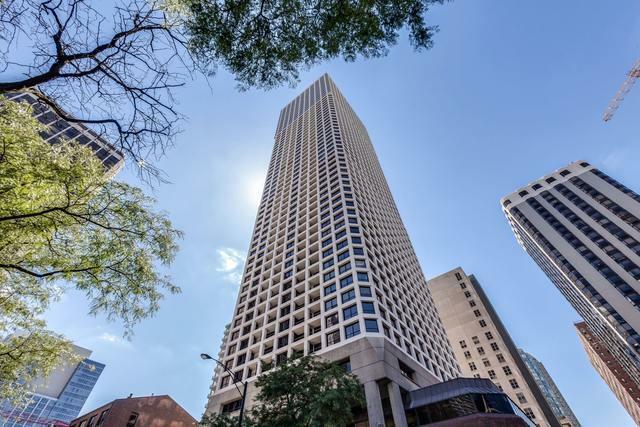 The building is extremely healthy financially, has a new lobby and elevators. Washer/dryer can be installed in the unit.